From his first career winner in 1996 to his 4,000th twenty winters later, Gulfstream Park has been very good to Todd Pletcher. He has won its signature race – the $1 million Florida Derby (G1) – four times, more than any single trainer, and it is where he stepped on stage to claim the last two of his record seven Eclipse Awards in 2013 and 2014. Since finishing second to Mark Shuman's record-setting 87 victories in 2003, Pletcher has also won an unprecedented 14 consecutive Championship Meet training titles. He broke Hall of Famer Bill Mott's streak of six straight in 2010, and passed Arnold Winick's total with his 13th in 2016. In a career that includes five Triple Crown race victories, 10 more in the Breeders' Cup and 10 horses with 11 year-end championships led by Hall of Famer Ashado, the 50-year-old Pletcher doesn't have to think long about where his South Florida success stands. Pletcher begins his quest for No. 15 with three horses entered on Saturday's 11-race Claiming Crown Day program that opens Gulfstream's 89-day Championship Meet – 2-year-old maidens Shanghai Jewel and Hyndford and three-time winner Songeur in the $125,000 Emerald. Both Shanghai Jewel and Songeur need at least one scratch to reach the starting gate. Equibase statistics show Pletcher has won 876 races and nearly $43.7 million in purses at Gulfstream from 3,370 career starters. His first came with Majestic Number on Jan. 26, 1996, and Eagle Scout gave him No. 4,000 last March 18. A total of 682 of those wins have come during his Championship Meet win streak, an average of nearly 49 per winter. He led the 2016-17 standings with 58 victories, and achieved a personal high of 72 in 2011-12. 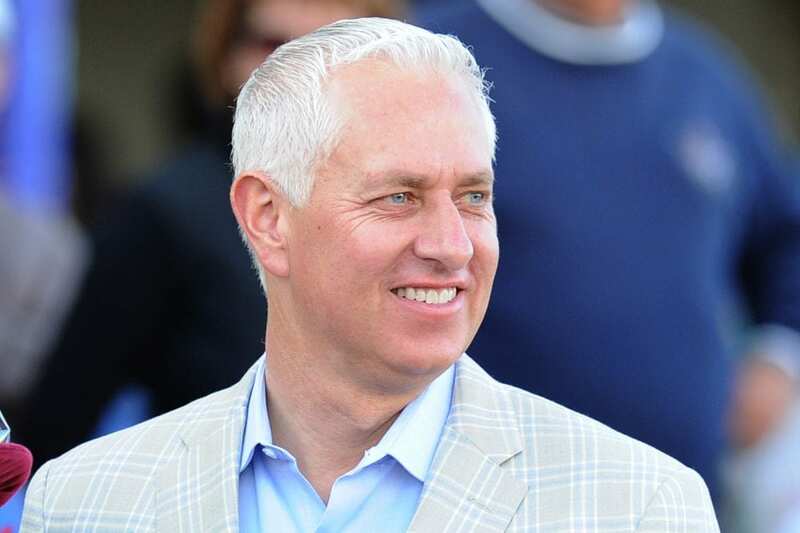 This year marked a slight departure for Pletcher, who maintained a string at Palm Beach Downs in Delray Beach throughout the spring and summer. A second, larger wave of horses arrived both there and at Gulfstream earlier this week. “I wouldn't say it's really different than what we've done the last couple of years. The last couple of years we've come down right after Labor Day,” Pletcher said. “We've had some horses down here for a while and we're starting to bring a few more down to gear up for the big meet. Tapwrit was one of the horses to arrive in Florida early last fall, breaking his maiden at Gulfstream Park West and winning the Pulpit Stakes on turf during the Championship Meet before going on to win the Belmont Stakes (G1) in June. The brightest of Pletcher's soon-to-be 3-year-old prospects is Robert LaPenta, Eclipse Thoroughbred Partners and Twin Creeks Racing Stables' Montauk, an impressive 11 ¼-length winner of his lone start Oct. 7 at Belmont Park. Purchased for $850,000 as a 2-year-old in training in April, Montauk is by Medaglia d'Oro out of the A.P. Indy mare Indian Vale. Pletcher envisions a campaign similar to that of horses like Florida Derby winners Always Dreaming (2017), Materiality (2015) and Constitution (2014). Pletcher said 2017 Kentucky Derby (G1) winner Always Dreaming and Tapwrit will also be working toward their comebacks here this winter. Neither horse has raced since the Travers (G1) Aug. 26 at Saratoga, where Tapwrit finished fourth and Always Dreaming ran ninth. Last winter, Pletcher won 36 races with 3-year-olds and the remainder with older horses. He is pointing Neolithic, who turns 5 in 2018, to the $16 million Pegasus World Cup Invitational (G1) – the world's richest horse race – Jan. 27 at Gulfstream. He ran third behind Arrogate in this year's inaugural running. This entry was posted in People and tagged always dreaming, Anthony Sciametta, championship meet, ginny depasquale, Gulfstream, gulfstream park, leading trainer, montauk, neolithic, palm beach downs, tapwrit, todd pletcher, tristan berry by Press Release. Bookmark the permalink.